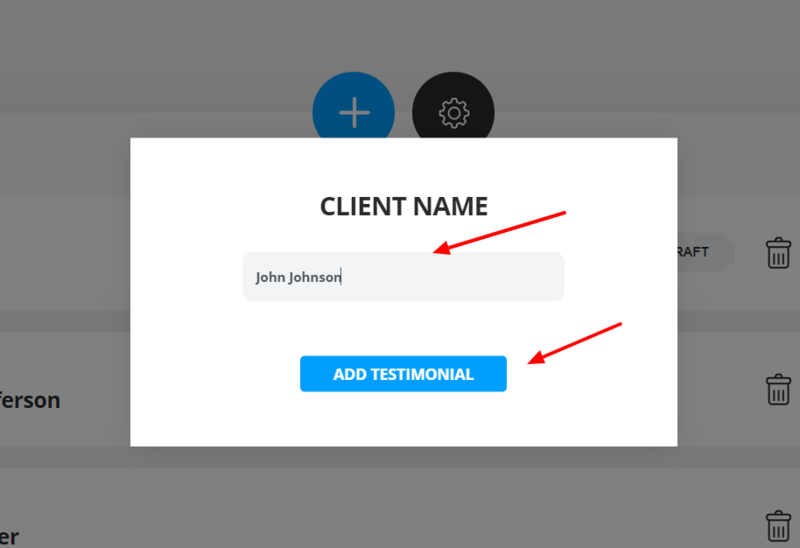 Showcase what your past clients say about you with the Testimonials plugin quickly and easily. 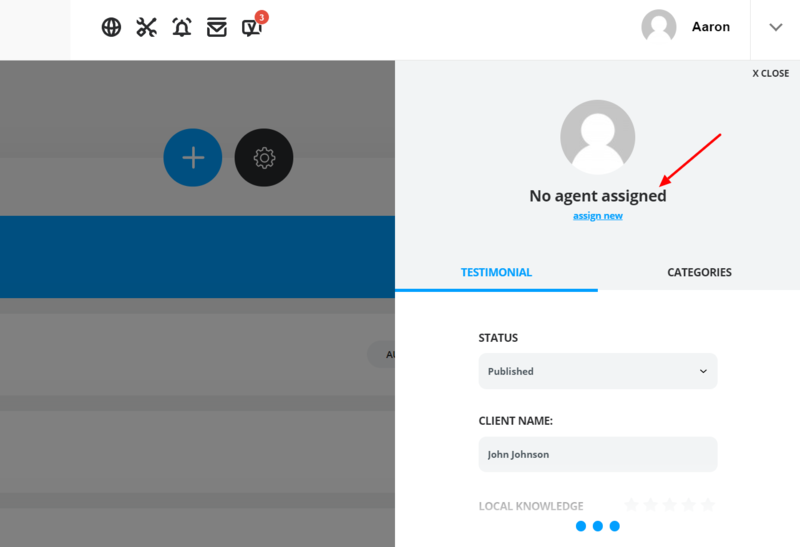 The new version of the AF Testimonials plugin lets you showcase your past experience with your clients in a professional way. Without further due, let's jump into the setup of the plugin. 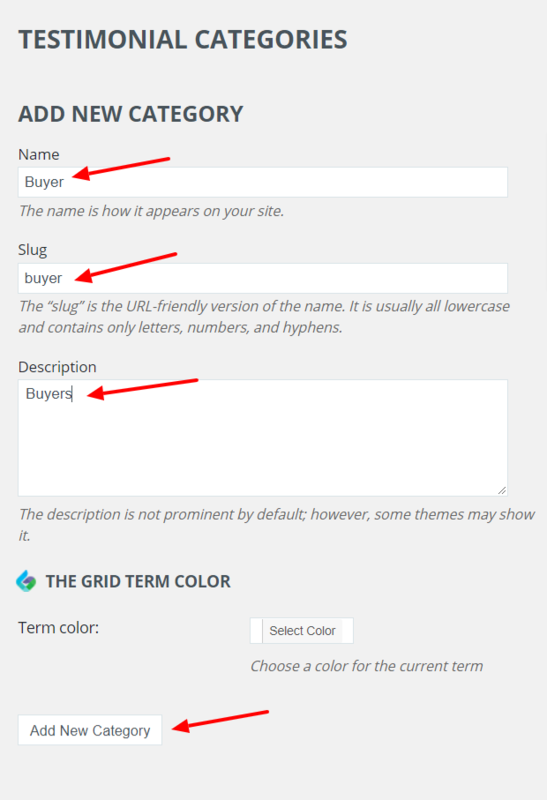 You will notice there are a few labels under the Testimonials Tab, which will be covered in this tutorial. This is the overview page, where you can access all the existing tutorials. From here you can add new testimonials, edit, delete, or access the testimonials settings. 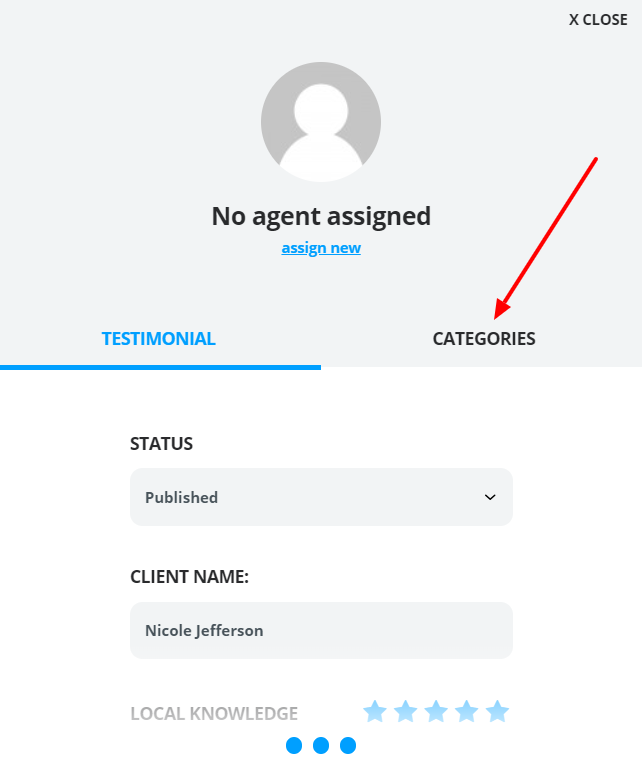 To add a New Testimonial, navigate to AgentFire Arsenal > Testimonials > Add New, or you can do so by clicking on the + sign in the Testimonials Overview page (All Testimonials). Both methods are shown where to access them in the previous images. As you click on the Add New, a window will pop up, where you will need to enter the name of the client that gave the testimonial. As you type in the name, click on the Add Testimonial button to create the testimonial. 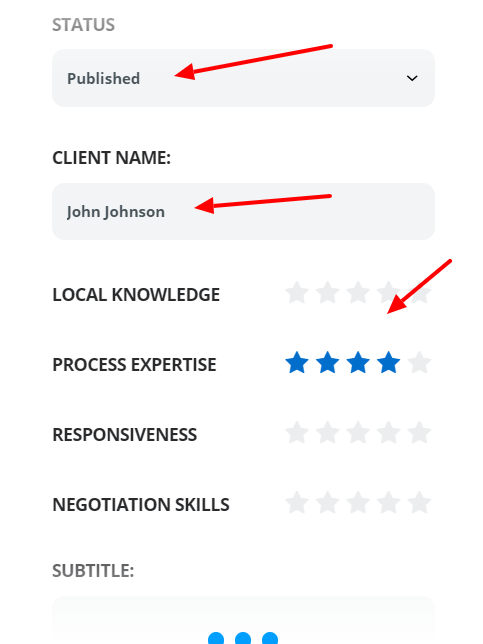 To edit or delete existing testimonials, head over to the All Testimonials page, and click on the trash can icon to Delete, or the Edit button to edit. Now let's assume you want to edit, instead of deleting an entry. Let's take a look what can be edited/adjusted. As you press Edit, you will notice a pop up on the right side of your admin dashboard. The very first thing you can do, if you have Team Members Plugin enabled, is to assign the testimonial to a team member by clicking on the Assign New button. 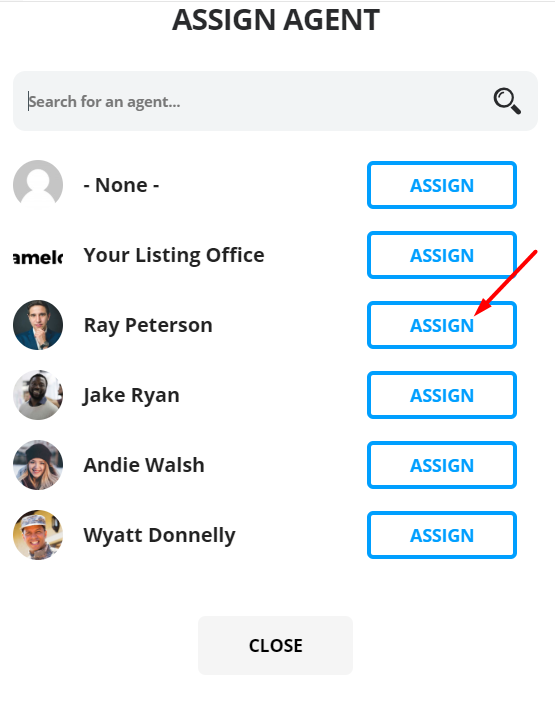 As you click there, you will be prompted with a list of existing team members you can assign. Pick one to move forward. This particular integration with the Team Member plugin lets you display the testimonial on their profile page. Now let's jump back to the rest of the settings. Status: Shows you the current state of the testimonial, which can be Published, Draft, or Pending. Client Name: This is automatically filled out on the start of the testimonial creation, however, you can change the name here. Star Rating: Here you can give the ratings for each Category. Testimonial: The testimonial text (body text) itself. Image: You can add an image for the testimonial, by uploading a new image, or selecting an existing one from your Media Library. 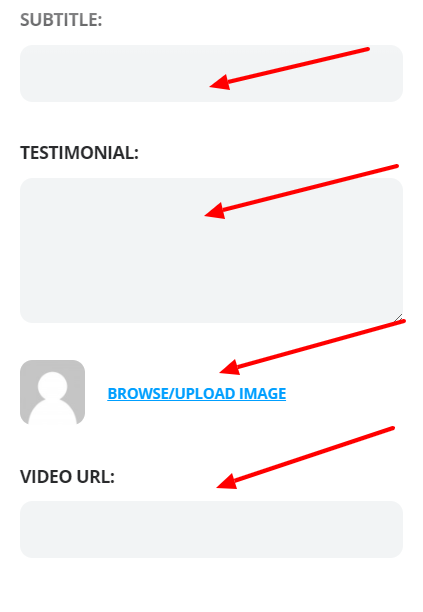 Video: You can also add a video to the testimonial by pasting the Video URL inside this box. Notify by email on testimonial submission: Yes, or No. Email address for the notifications: Place your email address here. Image Styles: You can adjust the image style for your testimonials. The available options are Square or Circle. Rating Names: Manually adjust Rating values and titles here. 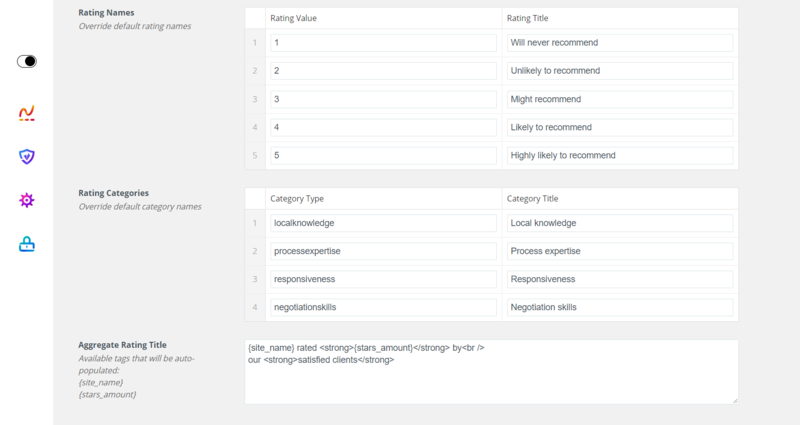 Rating Categories: Edit Category types and titles. Aggregate Rating Title: Edit the aggregate rating title, if you are using this display option. 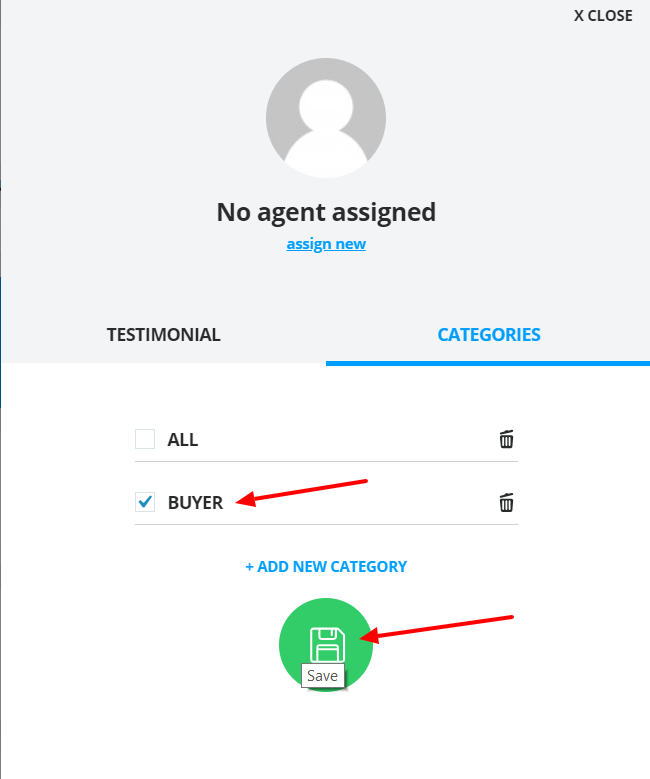 You can access categories by navigating to AgentFire Arsenal > Testimonials > Categories. A new window will appear where you can add new categories or edit existing ones. As you click on Add New Category, it will appear on the right side, within all the rest of the categories created. 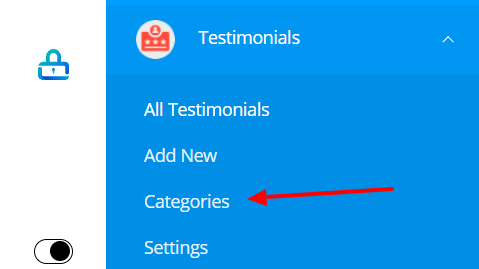 Now select the testimonial you want to apply the category for, by pressing the Edit button. As you edit the testimonial, click on the Categories tab. 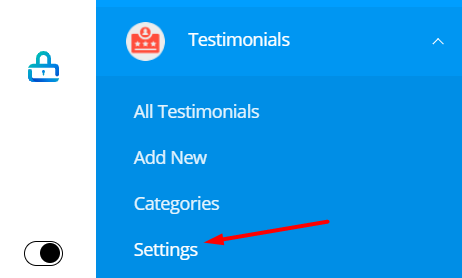 As you click there, make sure to check the box for the category you want to apply it to the testimonial, and save your changes by clicking on the green Save button. After you saved the changes, you can freely close the window, and optionally you can also add, delete categories from here.